Home News Opinion Travels in Europe: Where's the innovation coming from? Travels in Europe: Where's the innovation coming from? 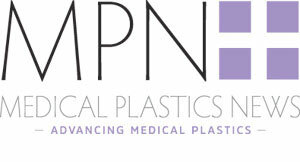 Reporter for Medical Plastics News, Reece Armstrong, has been making his way across Europe’s medtech sector to pick out some of its most exciting hotspots for innovation. With its medical technology market estimated to be at around €110 billion , Europe can be viewed as one of the most vibrant and diverse locations for developments in the medtech sector. Second only to the US, Europe’s medtech market accounts for almost a third of the world market and it has been growing on average by 4.4% since 2009 . Figures from the European Patent Office are encouraging – showing that patents filed for medical technologies were higher than any other technology sector; beating digital communications and computer technologies by over 1,000 applications. Indeed, tech giants such as Apple and Amazon are jumping on the opportunities that medical technology offers. Apple’s recent partnership with AliveCor made the company’s medical-grade ECG device available to Apple Watch owners across the world . The move highlighted the potential democratisation of healthcare that consumer medical devices offer and further emphasised Apple’s intent to enter the healthcare market. And with changing demographics across Europe, including increasing ageing populations and chronic conditions, coupled with rising healthcare costs , medical devices that take people out of the hospital to provide care are increasingly going to be needed. With the third largest medical technology market in Europe , the UK has a lot to offer, even with the uncertainty of Brexit looming. One of the UK’s major clusters for medtech innovation is Cambridge, where over 50 SMEs are based alongside leading universities, science parks and medical training institutions. Cambridge Science Park for instance, hosts over 100 companies, including major players such as AstraZeneca and Philips. In fact, research commissioned by AstraZeneca estimates that the Cambridge life sciences cluster could generate an extra £1 billion to the UK’s economy by 2032. Andy Williams, vice president for Cambridge Strategy and Operations at AstraZeneca, said: “A strong science base is one of the jewels in the UK’s crown. Life sciences clusters such as Cambridge, where our global corporate headquarters have been located since May 2016, enable the scientific community to break down traditional boundaries to drive innovation.”One of the companies operating from Cambridge Science Park is Owlstone Medical, which has developed a Breath Biopsy device, to be used for the early detection of cancer and within precision medicine. The company has recently raised £11 million to support the commercialisation of its platform and is working alongside companies such as AstraZeneca and GlaxoSmithKline to study disease drivers in respiratory conditions. It’s not just areas in and around London that are attractive to upcoming medtech companies though. The ‘Golden Triangle’ for instance, named for the innovative companies operating between Oxford, Cambridge and London, attracted over £1 billion of US investment last year . Since 2011, life sciences companies within the Golden Triangle have seen £472 million of investment and medical technology companies have taken in £207 million of investment from the US. Manchester is another city that has a thriving medical technology sector. Its university is ranked as the seventh most innovative in Europe and since 2004 it has produced over 100 spinout companies. Of these, medical device company Microbiosensor has recently been awarded £1.4 million to start a clinical trial for its diagnostics device. Designed to help those undergoing peritoneal dialysis, the company’s device detects emerging and potentially life-threatening infections. Manchester Science Partnerships’ (MSP) is perhaps the city’s biggest incubator for businesses operating within the life sciences sector. Over 300 life sciences companies operate within MSP’s campuses, and it is responsible for initiatives such as Mi-Idea; a post accelerator centre that is helping digital technology start-ups connect with businesses, academia and the government in the North of England. One success story to have come out of MSP is Elucigene Diagnostics, a market-leading molecular diagnostics company developing products for the rapid detection of genetic diseases such as cystic fibrosis. The company - based at the Manchester Science Partnerships’ Citylabs 1.0 campus – has grown from five to 30 employees over the past four years and is demonstrating growth both in the UK and overseas. In fact, this year the company was awarded the Queen’s Award for Enterprise for its success in international trade. The company relies on its exports to overseas markets, and over 80% of its £3.7 million annual sales come from those made outside of the UK. When asked why Manchester is such a good location for the company, Dr Mark Street-Docherty, chief executive of Elucigene Diagnostics, said: “For us, Manchester and Citylabs is a fantastic location for our business. Citylabs 1.0 is based on Europe’s largest clinical academic campus, meaning we have unrivalled access to talent, world class research in precision medicine, and also to the NHS. As Europe’s biggest market for medical technology, Germany has over 1,000 medical device manufacturers (most of which are SMEs) and the country benefits from collaborations with its academic and scientific communities. A high rate (44%) of students studying subjects relevant to the medical technology industry means that Germany will likely continue as an industry leader. More so, the country’s dual vocational training system combines classroom-based and on-the-job training to develop students into medical specialists over a period of two to three years. One in five German companies currently take part in the system , developing students into experts across varying specialties. Certain regions of the country boast incredibly high clusters of medical companies, making it easy to see why Germany is currently Europe’s biggest player in the field. Tuttlingen for instance, located in the south of the Germany, claims to be the world centre for medical technology and is home to over 400 medtech companies. The region is mainly known for its high volume of surgical tools makers, but medical device manufacturers such as Stryker, and orthopaedic implant specialists, Emerging Implant Technologies, give weight to Tuttlingen’s claim as the world centre of medical technology. But Germany’s medtech market isn’t localised to one region and the industry stretches across the entire country. Acting as a hub for partnerships throughout Europe is EIT (the European Institute of Innovation & Technology). Within Germany, EIT has offices in Mannheim and Heidelberg, with biotech giant Roche Diagnostics acting as host to the offices. A regional collection of 150 SMEs contributes to the strong innovation ecosystem that exists around Heidelberg and Mannheim, and the area is home prominent life sciences clusters, including BioRN, Heidelberg University and Medical Valley. In total, EIT covers 550 SMEs in Germany, covering the entire spectrum of healthcare. One piece of exciting research to recently come out of EIT is the MoveIT project from the University Hospital Erlangen. Developed in an effort to help Parkinson’s patients, researchers are using telemedicine based on sensors to analyse the characteristics of patients’ gait to assess when they fall. The sensors are placed in patients’ shoes and on their upper body to gain specific information into how they move. The researchers hope to develop a model where “patients or carers will be able to be warned in time if a certain gait pattern indicates that a fall is likely” , lead researcher professor Jochen Klucken, said about the project. The project - which is planned to run for one year - is one of many designed for Parkinson’s patients. Professor Klucken is working on two other projects with EIT for assessing the risk of falls. One is designed to create an IT infrastructure to improve communication between healthcare professionals and patients and to also benefit patient care. The project has a number of regional and national partners, including the University of Luxembourg, Radboud university medical centre and Philips Research. On the importance of these partnerships, professor Klucken said: “By working with various partners we are able to incorporate experience from other EU countries and the private sector into the digital medicine we are developing as part of our project”. Sitting right next to the UK, Ireland has perhaps one of the most exciting medtech sectors in Europe and is recognised as an emerging hub across the world. Impressively, the country exports €12.6 billion worth of medical products every year to over 100 countries around the globe . More so, Ireland is the largest medtech employer per capita across Europe and boasts an industrial workforce of 29,000. The impressive stats don’t stop there. With 18 of the world’s top 25 medtech firms operating in Ireland and 234 home-grown companies, Ireland offers a mix of global and local organisations operating across the entire spectrum of medical technologies. In April, Galway-based Kite Medical received €1.5 million to help develop its non-invasive device to detect kidney reflux in children with urinary tract infections (UTIs). The device uses wearable technology to monitor changes in the kidneys and monitor symptoms of kidney reflux. The device was developed to replace the current diagnostic test for kidney reflux, which can be distressing for children as it requires a catheter, the bladder to be force-filled and exposure to radiation. Ireland’s strong medtech sector benefits from a range of collaborative initiatives that help to promote the development of innovative healthcare solutions. Health Innovation Hub Ireland (HHIB) for instance, was launched in 2016 to help start-ups and expanding healthcare companies gain easy interaction with hospitals and primary care centres. Hosted by University College Cork, the hub is already working alongside a number of life sciences companies, helping them to assess the effectiveness of their products. Among these projects include FastForm, a life sciences company focusing on the development and commercialisation of medical products. The company is currently focusing on orthopaedics products and has developed its biodegradable smart polymer technology, PolyTrexx. Using Polytrexx, FastForm has produced a range of casts that are designed as comfortable alternatives to traditional orthopaedic casts. The company is currently working with HHIB on a study at University Hospital Waterford to see how effective its technology is in treatment pathways, compared to current standards of care. Other organisations such as Enterprise Ireland are helping to bolster the country’s reputation as a global hub for innovation. Whilst Ireland is home to major OEMs such as Medtronic, Becton Dickinson and Boston Scientific, Enterprise Ireland is placing bets on both the country’s academic research institutions, and the abundance of start-ups that are currently active. In fact, last year Enterprise Ireland supported 181 start-ups investing €31 million through its High Potential Start-up and Competitive Start Fund. More so, Enterprise Ireland’s ties to EU frameworks – in particular Horizon 2020 – have resulted in over €500 million funding in the past four years. Recently, three awards totalling more than €8 million were made to researchers at Irish Universities for projects including; biomaterials utilising 3D printing and advanced manufacturing from the Royal College of Surgeons; neuroimaging research to measure infants ‘mental representations from Trinity College Dublin, and research from University College Dublin examining the evolution of the genetic code. The funding was awarded as part of the European Research Council’s Advanced Grants scheme, which enable researchers throughout the EU to engage upon innovative scientific work, whilst also generating jobs through the creation of PhDs. "The ERC's Advanced Grant scheme has supported outstanding and established research leaders since 2007. It provides a great example of how EU funding can help expand the frontiers of scientific knowledge, providing the resources necessary to continue ground-breaking, high-risk projects, and ensure Europe's global competitiveness."